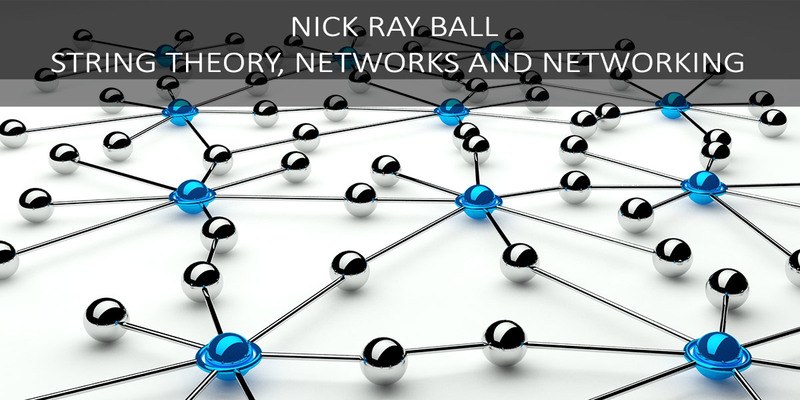 But before the particle physics, some network history. Which in a way started in 1991 and ran till 1999 as a part of Nick Ray’s job as a Cubase programmer was to create Midi networks. However the first, almost global network was nearly created in 2004. Having already made a deal with SA’s only satellite TV network to present the tours on their digital channels, the objective was to connect to Galileo GDS to bring online booking of hotels onto the website. 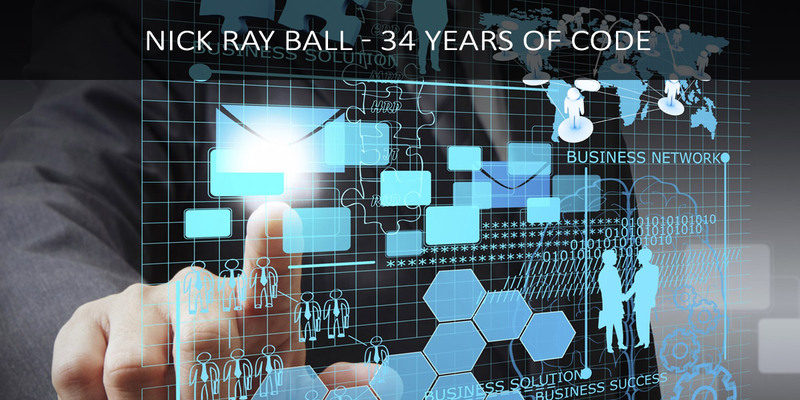 Nick Ray Ball – 34 years of code. Purchased music sequencing computer in 1987 spent 5 years learning then mastering the music networks and sequencing software. 1992 to 1999 worked professionally as a CuBass music network programmer, over 30 commercial releases, founded two record companies. Nick’s penultimate release was UK Radio 1 single of the week and featured on the FIFA 2000 computer game. Nick’s last solo release went straight to No1 in DJ MAG Chart. 2002 to 2004 Cape Villas makes more money that the web design company, so development focus becomes Cape Villas. In 2008 Nick Ray Ball designs and created the Cape Villas magazine purely in Photoshop. 22,000 were distributed with Conde Nast Traveller and it was a great success all round. This began the concept of creating an online magazine a process that was started in February 2016. During the creation of the Strategic Growth Plan, it became clear that most profitable path for Cape Town Luxury Villas was to remain a part of the Villa Secrets Network. As a franchise receiving software updates for free, or a non-fee paying member, paying a pre arranged cost for all software updates. However their are more advantages to membership of Villas Secrets that software, 10 are presented on this page, to be elaborated upon at a later date. Before reading its necessary to understand what Villa Secrets is, or maybe better explained, what it is not. It is not a villa rental agency, it is a software framework and integrated marketing platform applied to the luxury villa industry globally. Villa Secrets does not rent villas, it does not sign mandates and it does not manage properties. Villa Secrets creates web franchises and does everything in its power to make sure those franchises succeed, by superior technology, network structures and hospitality initiatives. In terms of Cape Town Luxury Villas, if it were to be sold as a ‘non fee paying’ member of Villa Secrets, it would enjoy all the benefits of membership. Hence any advantage to the Villa Secrets network is an advantage to Cape Town Luxury Villas. Much work has been put into creating a package that will temp villa owners and property managers into offering a sole mandate for their property. For new owners who approach Cape Town Luxury Villas, the process is relatively simple. However, trying to temp owners who are already represented or self-represented, one needs something special. So we are working towards the 25% mandate, (competitors charge 40%) with intent on seeing good occupancy for the owner and only the exclusive quality websites representing the villa. Over four years we are looking to create a network of 16 of the most well respected companies and only present the villa within that network, backed up by mass subscriptions and a prime placement on HomeAway and AirBnb. The system would work with the agency that owns the mandate receiving 10% and the referring agency receiving 15%. We are looking for only world class international agencies and tour operators, the top SA agencies, such as Rhino Africa, and a few select villa and estate agencies in Cape Town. The bigger this network gets the more firepower the network has. The more market share it will contain and so the more impressed a villa owner will be. One will be able to guarantee placement on the homepage of half of the agencies. Currently given an opportunity, the owner of Cape Town Luxury Villas will find it easier to recruit a mandate shared with Cape Villas, Villa Secrets and Esperance Africa that it would be working solo. Add more quality agencies and the network becomes more appealing. There is actually a lot more to this point. The creation of websites for villas mandated to us for one, and various marketing options for owners including representation in Villa Secrets magazines and videos. In addition we are developing a custom property management system which is made unique by its easy price estimation tool. By late 2017 the Villa Secrets software framework’s current plans shows us paying about $10,000 a month in software licensing. By being a part of the Villa Secrets network, Cape Town Luxury Villas would have access to all the non ‘per user’ software for free. That’s millions of rand a year in and a truck load of awesome software. There is a lot more to the use of available software than just buying the licence. Villa Secrets need to interface with the software company’s API to create a unique dataset which all software components connect. Only then can a system be created that is tailored specifically to the villa rental industry. The software created will far exceed any non-Villa Secrets network rival. As a Villa Secrets network partner, one would benefit from all the advances that happen and all software created. This is something we do, very lightly, and only in such a way that is of genuine benefit to the page. However as we are creating the network in such a way as each website has a different owner and different address. And we use a set of different servers, IP’s and subnets. Links from one website to another will count. We made a link to Cape Town Luxury Villas from Cape Villas Homepage in 2014 and it made a big difference, but it was removed after a few months. Now we are at a point where we are going to link it again to Cape Town Luxury Villas, and we hope for the same positive result. In addition, we are going to be making some targeted links from individual pages on Cape Villas, to blogs on the same or similar property, found on Cape Town Luxury Villas and from their link to Villa Secrets. Making links from web pages to blogs on the same or similar page is perfectly reasonable. In fact, it is improving the client experience as the blogs offer more information and is well presented. As the network grows there will be more sites linking to each other for relevant search terms. This is often started by a link from Cape Villas or other high authority websites that join the network. The bigger the network, the more links and the higher Cape Town Luxury Villas will climb in Google and Bing organic searches. We will create an even amount of inbound and outbound links that will be to the great benefit of Cape Town Luxury Villas. As it will also link to other selected Villa Secrets sites, it is in our interest to create the highest domain authority we can for Cape Town Luxury Villas. Content Marketing (sometimes called inbound marketing) is the only link building technique Google approves of and as such is central to the Villa Secrets network. Currently we have a team of three. Including a copywriter, a programmer who created the blogs in WordPress and a designer who creates advanced templates and navigation. In Cape Town we intent to hire more content writers and add a photographer, cameraman and presenter. Producing blogs and videos for the network and guest blogging on high domain authority luxury travel blogs across the world, so bringing in valuable inbound links. In addition, we auto syndicate blogs to over 20 social networks, which if used by staff from time to time would create links back that counts and provide clients directly. Cape town Luxury Villas can either contribute one staff member (who can double as hospitality) and have a share of the output. Or make a deal for a fixed rate for one or two blogs per week. While at work, our content writers will be manning the live chat as they blog all day about villas. They will have great product knowledge. As they are copywriters they will write to clients in a sophisticated manner, attune to the subject matter. The advantages of 24/7 live chat are significant, one may receive 100% more enquiries, which enter the funnel with better information, from a client who has spoken with someone and as such is less likely to search for competitors. Clients will see the 24/7 live chat as a great customer service tool, and be assured. Live Chat is said to decrease the amount of emails hospitality reps have to deal with by over 50%. But expensive, too expensive for one agency. But not for a network of agencies covering the costs between them. The staff will communally make blogs for all contributors and be on hand to deal with enquiries from a variety of websites along with hospitality and concierge matters. If Cape Town Luxury Villa were to contribute to one staff salary, they could use the 24/7 live chat service and greatly increase their content marketing and media output. For Cape Town and Africa agencies, access to safari availability, recommended choices and logistics catered for can lead to significant residual income. As a client that books a villa and safari often generates good income. For villa rental agencies across the world, having the option to book a hotel for short stay clients that cannot book a villa, is another good source of residual income. We have exchange NDA’s with Amadeus Hotels which offer BAR rates on most luxury resort hotels, many boutique hotels and luxury guest houses. Villa Secrets is launching safari and luxury hotel products in 2016/17. Particularly putting a lot of effort into African Safari’s and Resorts. Cape Town Luxury Villas can benefit from these updates. Villa Secrets is creating a combined hospitality/content marketing/media company, with a staff that is hospitable, employing content marketing and with a media department working in hospitality and concierge when required, assisted by the Divergent CRM. The current consideration is that each company that has a Villa Secrets website pays the salary of one of the hospitality/content marketing and media department. In doing so, it collectively creates a full and vibrant media department which serves clients when in Cape Town. Note this department also mans the 24/7 live chat. There is an option for Cape Town Luxury Villas to contribute to this department, to relive their hospitality needs and at the same time increase their content marketing and media, and in addition receive 24/7 live chat. Following on from the previous point. The creation of professional videos has long been thought of as a worthwhile endeavour. Video is liked on websites, and has the potential to go viral on social media. Videos will not just be about villas, but Cape Town in general, from surfing to paragliding, from Camps Bay to the Winelands. Technically it’s not hard to master, with programs like Adobe Premier we will make videos in HD fit for airing on television. And we will try to syndicate the footage on TV. Villas that have videos created, will feel better about Villa Secrets for making the effort and so the media department becomes a recruiting tool, in the hunt for exclusive property mandates. In addition to creating videos we are working on creating the Villa Secrets magazine (from recycled paper). In 2009 Nick Ray Ball produced the ‘Cape Villas’ magazine. This was distributed with Conde Nast Traveller and had ‘Bulgari’ calling offering a good deal of money in barter for placement in the next magazine. As soon as the Villa Secrets V2 site is live (expected at the end of March 2016) we will again approach Bulgari about Villa Secrets Magazine suggesting we use their villa in Bali for a Bulgari product placement shoot. We hope they say yes. When they do we will also approach leading fashion brands for product placements and include their couture products within the villa shoots. This is going to be a very exciting magazine, one way or the other and it will raise the profile of Villa Secrets network to great heights, and it will become a recruiting tool globally. 10. American Butterfly advances and links. Currently the American Butterfly website if far from complete, it has a nice slideshow on the homepage that attempts to present a million works of business plan in 45 seconds. In the footer is a link to the first book ‘The Theory of Every Business’. But most of the work is still in on Word docs on Nick Ray Ball’s laptop. Their just has not been the time to proof-read the books and add them to the website, Cape Town Luxury Villas and Villa Secrets have been priorities. However at one point this website and set of books will be uploaded, and if one though that the Divergent CRM was in any way complex, hold on. American Butterfly is the story of the network development in all industries and is considered into Chaos Theory that presents a thought provoking piece of economics. In books two and three American Butterfly explores some basic principles of particle physics including string theory, super symmetry and quantum theory and finds ways to create the global network according to their rules. At the very least, when populated with the content and syndicated to universities we expect the American Butterfly website to become an authority, which for Cape Town Luxury Villas is awesome, as being the prototype it will be mentioned and linked to often. The more powerful the American Butterfly websites becomes the more powerful Cape Town Luxury Villas will become. At the very least, we will be creating about 250 different hi scoring links from the many different relevant categories of ‘Best of the Web blog directory. ’However as American Butterfly is Nick Ray Ball’s favourite project one can expect a whole lot more from American Butterfly.